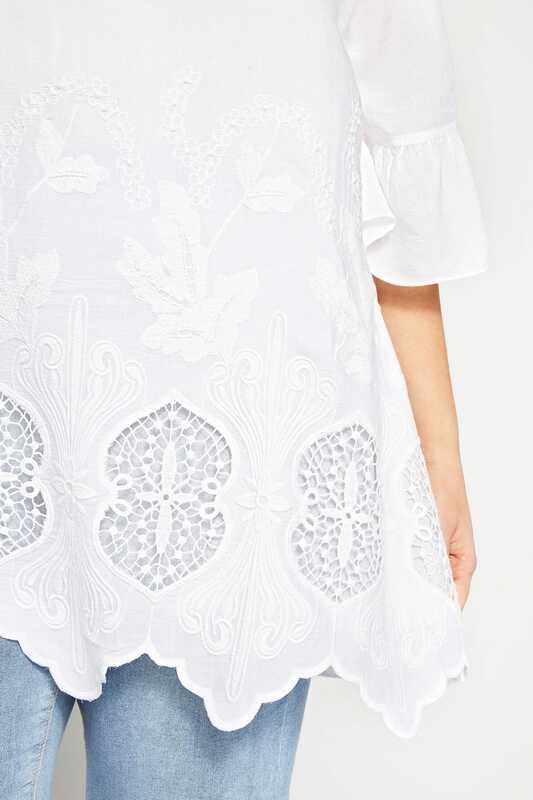 Channel Boho ease with this white embroidered blouse. 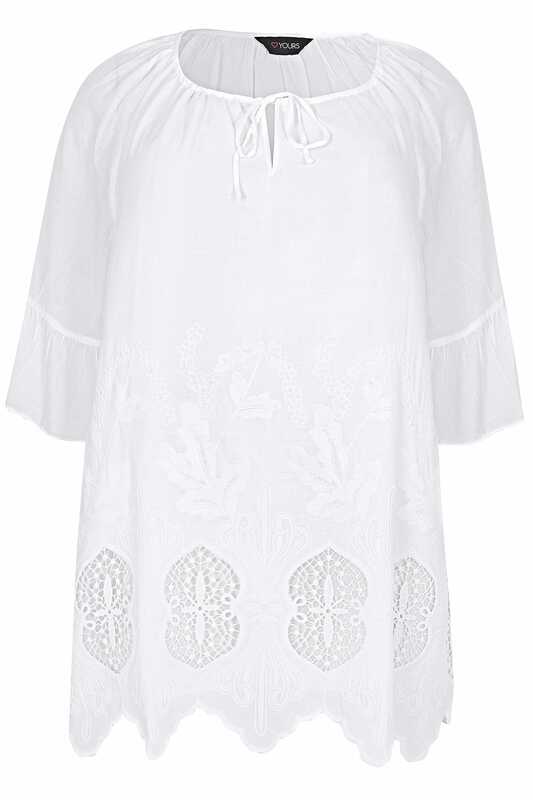 Delicately detailed with a scalloped front, broderie detail and a tie neckline, it is the perfect option for relaxed weekend styling. 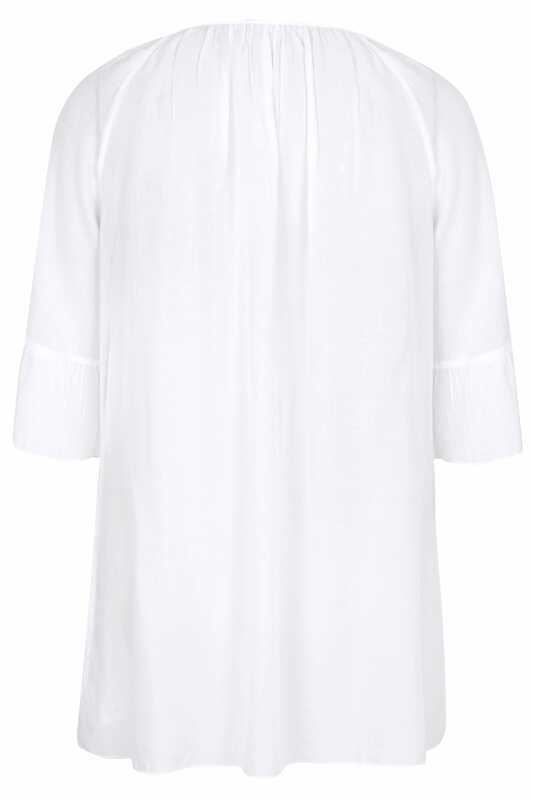 Just add blue denim and sandals for easy off-duty chic. 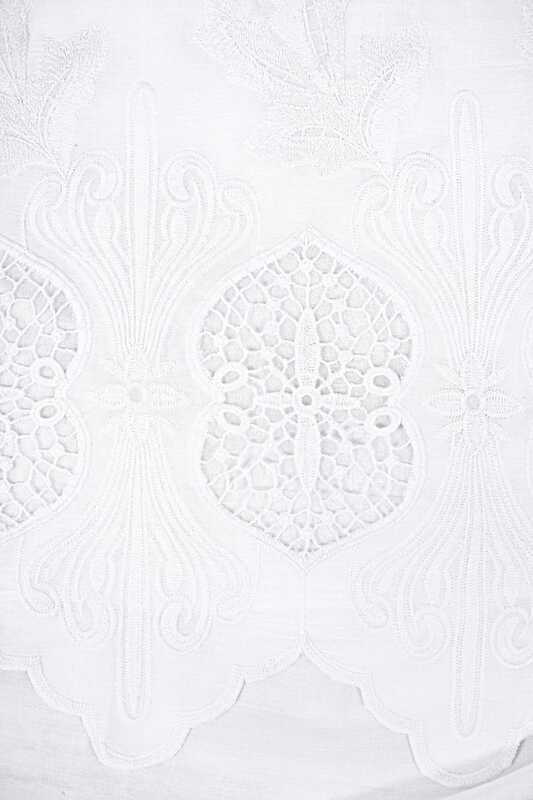 It's top of our wish lists.